Hybrids continue to grow in popularity but many people still overlook them when buying a new vehicle. One reason for this could be that these consumers assume that taking care of one is more difficult or expensive than what they’re used to and that can discourage them from even considering buying a hybrid. Unfortunately, this means they’re missing out on a lot of benefits such as saving a significant amount money on fuel each year. If you’ve thought about buying a Toyota hybrid but just keep putting it off because you’re not sure how much trouble it would be to take care of one, you may want to reconsider. It’s actually not that much different than taking care of a regular vehicle. It’s easy to feel a little overwhelmed when you think about taking care of a vehicle that has two engines. However, when you understand how they compare to the traditional gasoline-fueled vehicle, you’ll see that it’s not really that complicated. For the most part, you’ll take care of your hybrid in the exact same way that you take care of your current vehicle. For example, you’ll still need to check the air pressure in your tires, make sure they have enough tread and have them rotated after the recommended number of miles. You’ll need to check your transmission fluid, battery, hoses, change filters and change your oil. The main difference is that you won’t have to replace these parts or change the oil as often. This is because there is less wear and tear on the engine since the vehicle is also powered by the electric engine. The best way to care for your new Toyota hybrid is to schedule regular maintenance checks and have the vehicle serviced by a qualified technician. The electric engine is more complex than traditional engines and hybrids use a dual voltage system that could produce a serious or fatal electrical shock if not handled properly. For these reasons, it’s best to let the professionals do the work. 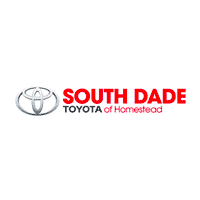 Here at South Dade Toyota, our technicians are qualified and equipped to handle all maintenance issues to keep your vehicle in the best shape possible. The battery for the electric engine is the most expensive part to replace but you can extend the life of the battery by not letting it drain down completely. Coming to a gradual stop instead of slamming on the brakes will help to keep the battery charged up. It’s also recommended that you take off slowly instead of punching the gas to help preserve fuel and it’s less wear and tear on the vehicle. Taking care of a hybrid is just as easy as caring for any other vehicle. It cost about the same and you really don’t have to do anything special. When you take care of them properly, it will reduce the risks of having to deal with unexpected problems later that could end up costing a lot of money to fix. However, that is true with any vehicle, which is why it’s so important to have your Toyota serviced regularly.